As a long time teacher at Cedar, and a former graduate I would like to take this opportunity to strongly urge you to vote for Trent Gilmore for our school board in the upcoming election. It has been my pleasure to have known Trent for the last 25-plus years. I know him to be one of the most honest and competent individuals I have ever met. Trent has served in the FFA in Clare, Michigan as a local and regional officer, and has been a responsible, upcoming manager at Consumer’s Energy. He has worked for Consumers as a laborer, and worked his way up in management. He therefore has experience on both sides of the union issue. Having observed Trent as he has grown from a young man to a father of three of my grandchildren, I can say that he is an excellent decision maker. I think the community could do no better than to choose Trent to remain on the school board. I am voting for Heidi Reed and Joe Marckini because I believe in healthy change and district advancement. We all want Cedar Springs Public Schools to grow and for our students to succeed. Change is essential for growth. I am the daughter of David and Heather Wolfe. Both of my parents were born and raised in Cedar Springs and graduated from Cedar Springs Public Schools. I was born and raised in Cedar Springs and also graduated from Cedar Springs Public Schools. I love our district, and am proud to be a lifetime Red Hawk. I want to see our district succeed, and the election of our board members is a key component to that success. The Michigan Association of School Boards outlines Indicators of Effective Board Members. Heidi Reed and Joe Marckini possess all of the traits valued by the association. They both have decades of experience collaborating with people of all different backgrounds and viewpoints. Our district thirsts for additional board members who are willing and able to work well with others. Heidi Reed is focused on staff morale and student achievement. She is an advocate for curriculum that supports children of all learning styles and backgrounds. She is an active community member and can be found at nearly all fundraisers and events within our community. Heidi has seen the issues our community faces first hand, and will use her voice to ask questions consistent with the present issues. She’s not afraid to get her hands dirty, and will be a warrior for our school board. I am excited about the direction our district is heading. I choose to look forward, and think positively about our district’s future. I choose to believe in, and support our leadership. Cedar Springs Public Schools’ students deserve the best. Please join me in voting to make kids our district’s top priority by voting Heidi Reed and Joe Marckini. My sons received an excellent education at Cedar Springs Schools. Even though they graduated several years ago, I still attend school board meetings to keep abreast of the strides our district is making. There are so many things happening which are benefitting all our children. The district is moving in a positive direction and we owe much of that change to our school board. Children are always the first consideration when our board members make decisions. I have great pride in knowing the Cedar Springs School district has high standards and is very passionate about the education of our students. With such a responsibility, it is important to carefully vote for candidates who will continue to help improve our educational system. This is exactly why I believe Joe Marckini and Heidi Reed are the perfect choices for Cedar Springs School Board. On November 8, make the right decision and vote for our students—vote for Joe and Heidi. I am fairly new to the Cedar Springs area. Prior to this summer, I knew nothing about ANY of the School Board candidates. I was a relatively blank slate. I recognized that I needed more information, so I researched the candidates and the politics surrounding the School Board. As part of my research, I attended two Sabinas & Bowser Meet & Greet events. I had hoped to hear them speak about their student centered vision. Instead, I heard Ms. Bowser & Mr. Sabinas misrepresent information regarding district finances and the administration. The outcome of this election will have a direct impact on my child’s/our children’s education and future. Therefore, I want to share with you the truthful FACTS I have learned from my research. Sabinas & Boswer False Statement: Between January and August 2016, 55 Staff have left. Truth: I have reviewed every BOE Minutes from January through August 2016, and have identified only 53 names that have gone before the board. Of those 53, 6 were internal moves, and still employed by the district, while 7 were temporary positions and/or coaches. The remaining 40 names I have categorized for analysis. As you can see, the actual number of TEACHERS who have left the district is 7. ONLY 7! Sabinas & Bowser False Statement: The Board does not meet with community members. Truth: Mr. Sabinas sent an email to the board, and requested a meeting with each board member. However, it is a violation of the Open Meetings Act for board members to individually meet with the same person on one issue. For additional examples how they have misrepresented the facts, including “Where is the 1.3 Million over budget”, please email CedarVote@gmail.com with subject line – Post Article. My research has proven to me that Joe Marckini and Heidi Reed are BY FAR the best candidates for our children, our school board, and our community! Please vote for Joe Marckini and Heidi Reed on November 8th! It’s a simple fact: You find what you’re looking for. If you are looking for bad news, you will find something to criticize; if you are looking for good news, you will find something to compliment. In this election cycle, I hear and read far too many candidates that are looking for the things that are wrong. Electing those candidates perpetuates bad news. Is everything perfect in Cedar Springs? In Michigan? In the United States? Of course not. But there is a lot that is right. I’m much more interested in focusing on those things. The way to move our city, our state, and our country forward is to support those candidates that are focused on our strengths—on what’s right in our communities—and electing them into positions where they can help our strengths overcome our weaknesses. Send a message this election cycle: Vote for the candidates that are looking for what’s good and right and strong. Post Scripts Notice: The Cedar Springs Post welcomes letters of up to 350 words. The subject should be relevant to local readers, and the editor reserves the right to reject letters or edit for clarity, length, good taste, accuracy, and liability concerns. All submissions MUST be accompanied by full name, mailing address and daytime phone number. We use this information to verify the letter’s authenticity. We do not print anonymous letters, or acknowledge letters we do not use. No letters against a candidate will be published the week before an election. Email to news@cedarspringspost.com, or send to PostScripts, Cedar Springs Post, PO Box 370, Cedar Springs, MI 49319. Residents of the City of Cedar Springs will vote in two new City Council members on Tuesday, November 5. Four candidates are running to fill two four-year terms. One seat is being vacated by Mayor Pro-Tem Charlie Watson, who decided not to run again, and trustee Pamela Medford-Conley’s seat is also up for reelection. The election will be held at the Cedar Springs City Hall. Main strength he will bring to the board: “I was raised on a farm and have a strong work ethic. I keep up on the news both locally and around the world and feel that my various experiences will help me identify with the citizens of the community and hopefully make choices balanced between necessary regulation/expenditures and those offering greater personal/business opportunities to Cedar Springs citizens. About him: He was raised here and has lived in Cedar Springs for 64 years. He is retired from the City of Cedar Springs, where he was formerly the Superintendent of Public Works. Primary reason running for office: Gerald believes his experience will help the future of the city. 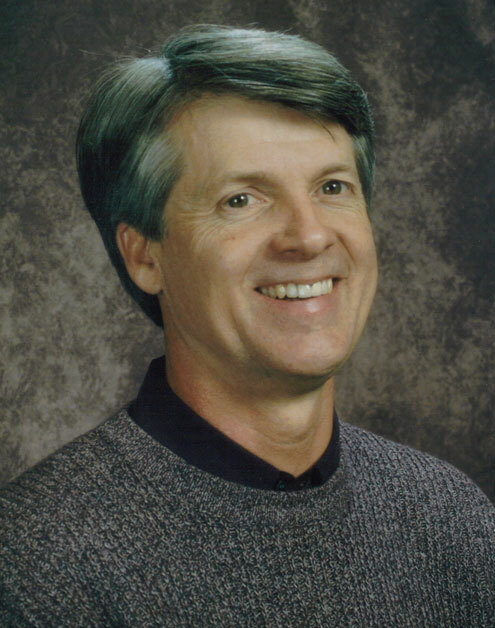 Other experience: His experience includes serving on the City Planning Commission and six years on the Cedar Springs Board of Education. Main strength he brings to the position: Gerald said the main strength he will bring to the position is his knowledge of the city. The major challenge he sees facing the district and what would he do about it: He said the major challenge facing the city is a shrinking budget. 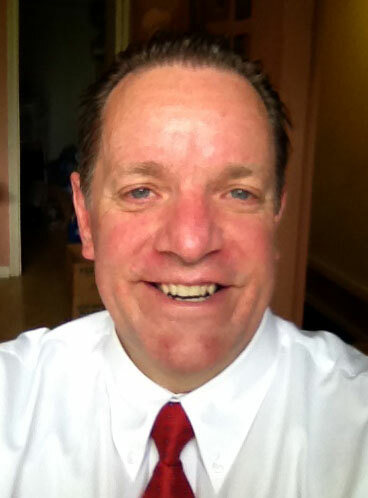 About him: I moved to Cedar Springs from Muskegon last June 2012. I am an operations management professional who most recently worked for Huntington Bank and before that the Federal Reserve Bank. I am now an entrepreneur. About her: Pamela Medford-Conley is 43 years old, and has lived in Cedar Springs for 14 years. 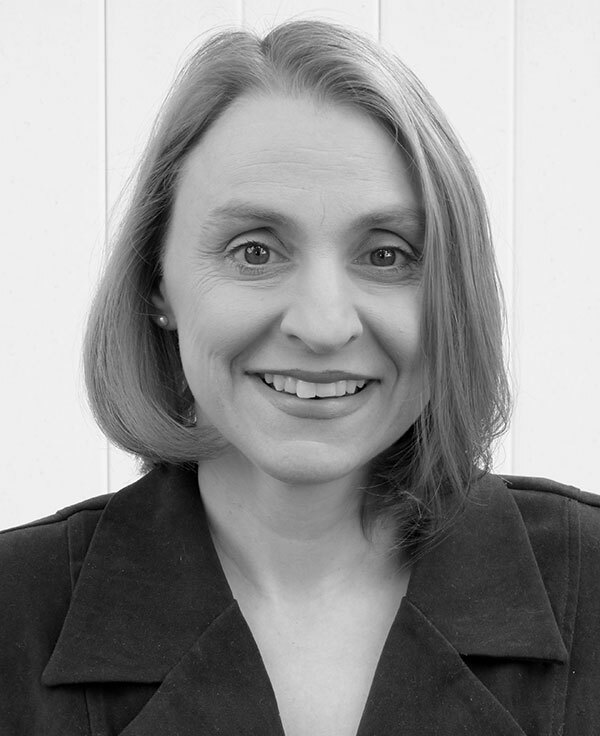 She holds degrees and certifications from Montcalm Community College, CMU, and GVSU in child development, speech pathology, theater, dance, history, secondary education, communication, and argumentation. She teaches policy debate, communication, and academic tools for Forest Hills Central High School. She is married to Clint Conley who is a teacher for KCTC. She has two children–a daughter, Abbi Conley, will be a senior at Cedar Springs High School this fall and her son, Caelun Conley, will be entering first grade at Cedar Trails. Other experience: Past experience includes serving 6 years on the Board Of Education for Cedar Springs Public Schools, where she held the positions of Treasurer and Legislative Representative and made multiple trips to Washington DC and Lansing to advocate for kids in Cedar Springs; 5 years on the Library Board including part of that time as Vice President; one year on the PTO Board of Directors; one year on the Red Flannel Festival Board of Directors; 10 years in the Garden Club with 6 years as President; and 13 years as co-discussion leader of the Cedar Springs Book Club. I have been looking though the council minutes all the way back to 2009, and what I have seen is disturbing. Time and again, citizens showed up and voiced their objections to proposed changes in ordinances, and despite that, the council went ahead with no documented public support and changed them. People were being ticketed for parking on their own property. It is my understanding that if I wish to put up a tent in my backyard, I must first secure a permit. Why does the council feel that they have the right to dictate to us what we may or may not do on property that we pay taxes on? Cars parked in public lots have been vandalized. Citizens have told me that when they have spoken out in a way that the city did not like, code enforcement showed up at their door. To say that if they have done nothing wrong, they have nothing to fear is untrue. My next door neighbor parked 23 ft from the side walk and 60 ft from the center of the street. The car was in front of her own garage, and was ticketed. She had to fight it all the way to the doors of court, despite talking to city hall. Another matter I would like to call to the attention of the public is the city’s purchase of 95 N. Main. *In council member Fahl’s own words: “It’s a mess.” “The city can’t make money off of it.” “We paid like $19,000 for the entire property, it’s actually 3 lots and a building, and the reason we paid that is because that’s what the IRS…was owed on the back taxes. So we picked it up because it was actually a really good deal, at the time.” She also explains the city can only sell the property for the original purchase price, plus any upkeep. I wonder who was this a good deal for? If the city legally is not allowed to make money off of it, why did we enter the real estate business? According to the council minutes from 3/08/12, “City Manager Christine Burns stated that the buyer for 95 N. Main St. had rescinded his offer and had presented another offer due to the discovery of asbestos contamination during a property inspection. The buyer now only wanted to purchase the two vacant parcels associated with the property.” The council voted to not allow this sale, but rather demolish the building and sell the property as a whole. According to council member Fahl, “There is a fuel tank that’s underneath that building…and that was one of the city’s requests that whoever buys that building remove the fuel tank due to … possible contamination.” She continues that removing just the asbestos from the building was estimated to “cost us close to $80,000.” She states that if the building did not have so many issues “somebody could have made good money off of it.” So, if I understand, the city legally cannot make a profit, and we now own an asbestos contaminated building sitting on top of a fuel tank that could potentially be a source of contamination? We bought it because it was a good deal? Christine Fahl, Bob Truesdale, and Patty Troost are all on the November ballot for City council. Christine Fahl was the only one of them on the council in 2009 when we bought this poisonous building. I don’t know about the rest of Cedar Springs, but Christine Fahl will not get my vote. *The quotes from Mayor Pro Tem Christine Fahl were from a private meeting in Ms. Nixon’s home, which Ms. Nixon videotaped, without Ms. Fahl’s knowledge. 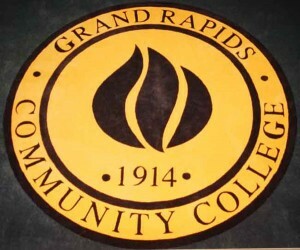 Residents across Kent County will go to the polls Tuesday, May 8, to vote on whether to approve a $98,600,000 bond proposal for Grand Rapids Community College. The proposal is for purchasing, remodeling, renovating, and constructing buildings to be used for the college (including the fieldhouse and other facilities); renovations of sites, and acquiring and installing technology infrastructure. They propose the millage to be .38 mills per thousand for 2012, and will go no longer than 20 years. For someone owning a $100,000 home, that would be about $19 per year. They would capture $274,000 the first year. Polls open at 8 a.m.
As a result of the 2010 census count and the resulting redistricting on the state and national level, Solon Township residents may find the places they have always gone to vote and who they voted for have changed. Solon Township was part of the 73rd district in the state house of representatives, but is now represented by the 74th district (as are the Cities of Cedar Springs, Rockford, Grandville, Walker, and the townships of Tyrone, Algoma, Sparta, and Alpine). Also, the township used to be represented by both the 2nd and the 3rd congressional districts, which have now changed so that the entire township is represented in the 3rd congressional district. As a result, voters who may have liked voting for one candidate may have to decide on another. Solon Township Clerk John Rideout said they considered two things when redrawing precinct lines: one was the size of the buildings where the elections are held; and two, they wanted to keep Kent City School District in one precinct. The reason being that the township hall, where precinct one is located, is much smaller than precinct 2, located at the Solon Wesleyan Church. As a result of the redistricting, precinct one will consist of the southeast corner of the township bordered by Algoma Ave. and 20 Mile Road. The remainder of the township will be precinct two. Additionally, keeping Kent City Schools in one district will facilitate a less confusing election. Rideout indicated that voters should be receiving new voter identification cards in the mail shortly informing them where they need to go vote in the future. If they have any questions they are encouraged to contact the clerk’s office at 696-1718. The old horsebarn at 15185 Algoma will soon get a facelift—literally. The Solon Township board voted last Tuesday to tear down the first 30-40 feet of the east side of the building. “This preserves the majority of the barn,” said Clerk John Rideout. “We’ll put a face on it, fix it, close it up.” He said this would give them the room to start construction on the new township hall/community building in the front part of the property. He noted that they would be showing the final plans to the planning commission on March 28 to get their input. 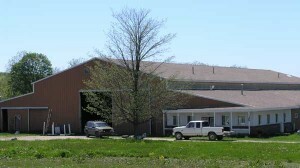 Solon bought the 19-acre horse farm in 2009 in a tax foreclosure sale for $28,378.